Mailbox Monday March 10, 2014. Audio Book Review: The Tempest by William Shakespeare; Classic, Dramatization; my rating 4.0. 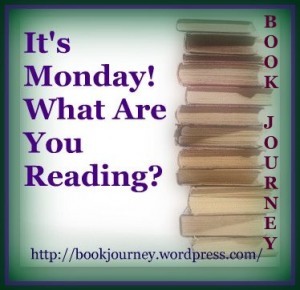 Audio Book Review: Of Poseidon by Anna Banks; fantasy; my rating 4.75. Audio Book Review: Silver City Massacre by Charles G. West; Western; my rating 4.25. Martha's Bookshelf***Friday Pick Giveaway March 14, 2014. Open Worldwide. Ends 3/20/14. Book Review and Giveaways (three total): The Gunsmith's Gallantry, Ladies Shooting Club Series #2 by Susan Page Davis; Historical Romance, Inspirational; my rating 4.25. Ends 3/26/14. Sharing Beyond Books #142 Comment Giveaway 3/15/14; Open Worldwide. Ends 3/22/14. Sunday Words of Encouragement March 16, 2014. I enjoyed this second book and will post review for book 1 and 2 this week. This is a fun historical romance. I'll post review with ARC giveaway later this week. This is very, very interesting. I'lll post the review this week. Selected through Audiobook Jukebox. Current giveaway link: Annie's Special Day by Clara Bowman-Jahn. I am 70% into this and it is a fun read. There's a new hero in town... When Summer Bennett returns to Richfield after a five-year stint at her aunt's finishing school, she discovers a lot has changed. Her father has suffered a crippling injury, and Summer is desperate to get the money to pay for surgery that could allow him to walk again. She hears of a reward offered for the capture of a cunning gang of bank robbers, and her years of etiquette training fall by the dusty roadside. What Summer doesn't count on in her quest to capture the bandits is the competition from her family's longtime friend, Jesse Slade. Now a deputy marshal and local hero, Jesse keeps thwarting Summer's plans, just like he did when she wore pigtails. She would like nothing more than to use Jesse's head for a slingshot target, but soon Summer finds her aim shifting from his head to his heart. Problem is, Jesse is engaged to her sister Violet. I really like this series so I purchased this with my February Audible credit! I will start listening tonight. #1 New York Times bestselling author Patricia Briggs’s Mercy Thompson series has been hailed as “one of the best” (Fiction Vixen Book Reviews). Now Mercy must deal with an unwanted guest—one that brings a threat unlike anything she’s ever known. Soon her suspicions are confirmed when she learns that Christy has the furthest thing from good intentions. She wants Adam back, and she’s willing to do whatever it takes to get him, including turning Adam’s pack against Mercy. Mercy isn’t about to step down without a fight, but there’s a more dangerous threat circling. Christy’s stalker is more than a bad man—in fact, he may not be human at all. As the bodies start piling up, Mercy must put her personal troubles aside to face a creature with the power to tear her whole world apart. ©2014 Hurog, Inc. (P)2013 Brilliance Audio, all rights reserved. so I picked this from my "won" books. We'll see how I like it as I get into it. Sarah Dearly's vampire life is not all B-positive cocktails. A curse made her a nightwalker, the most vicious vamp there is; the charm she wears to curb her deadly tendencies is losing its juice; and a hunter from hell is turning up the heat. Gideon Chase will kill the ones she loves most if she doesn't obey his orders. That includes breaking up with master vampire Thierry and turning Gideon into an immortal vamp so he can escape a doom of eternal hellfire. Making things worse are Sarah's growing feelings for Gideon, a bad boy who keeps showing a vulnerable side . . . but is it for real? Will Sarah's dark side take over? Or can she cure herself of the nightwalker curse in time to stop Gideon and finally live happily ever after with Thierry . . . forever? I was pleased to see this new release by Cym. I am anxious to read and review it for the author. Greenwich, Connecticut socialite Jaspar Moran has it all—a magnificent estate, two beautiful children and a loving husband, Trevor, serving as the Secretary of the Treasury. Protected, admired and living in the lap of luxury, Jaspar is reeling from the news that his government jet has crashed just as her children vanish without a trace. An ominous message warns her to keep silent about her husband’s role in the President’s economic plan. Or else. Determined to save her children, she’ll go to hell and back, form alliances with assassins, traitors and Mafioso, and commit unspeakable acts—if that’s what it takes. With alarms sounding around the world, hunted from all sides, and unsure of who to trust, she finds herself depending on a mysterious figure without an identity. Jaspar journeys from the Australian outback to the palazzos of Rome, the Monte Carlo Grand Prix, and to the magnificence of the Vatican, in her quest. Can she rescue her children before the plot to crash the global economy is unleashed? I am continuing to enjoy reading books from my own TBR. :-) I did get four reviews completed this week so 5-4 =1 +3 new = 4. That pretty much gets me up to date. March Scheduled - nothing dated but I still plan to look for some book hops. From TBR Collection - Heart of a Hero. Won Book - Tall Dark and Fangsome. 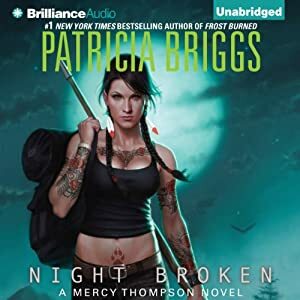 The Patricia Briggs series I must read, after I get a few more read, I can't see the earlier books in the series on Audible, so they perhaps are not there or not for my area of the world, although the later ones are there. I really enjoyed Night Broken and hope you do too. Come see what I did last week here. Have a wonderful week! These are new to me but happy reading! Also check out our Kindle Giveaway along with OUAT 4 year Giveaway. Heart of a Hero looks pretty good and I love the Mercy Thompson series by P. Briggs but I'm a few books behind. I hope you're enjoying your current reads.